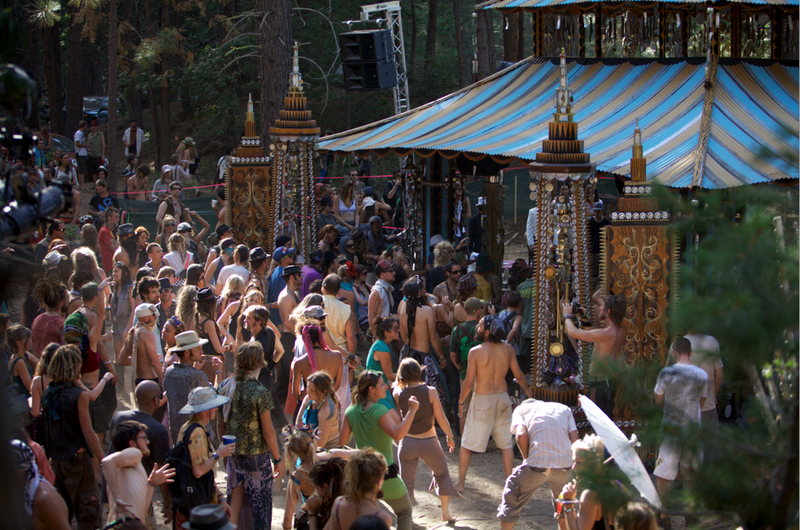 Symbiosis Gathering at Camp Mather was an important turning point for many. 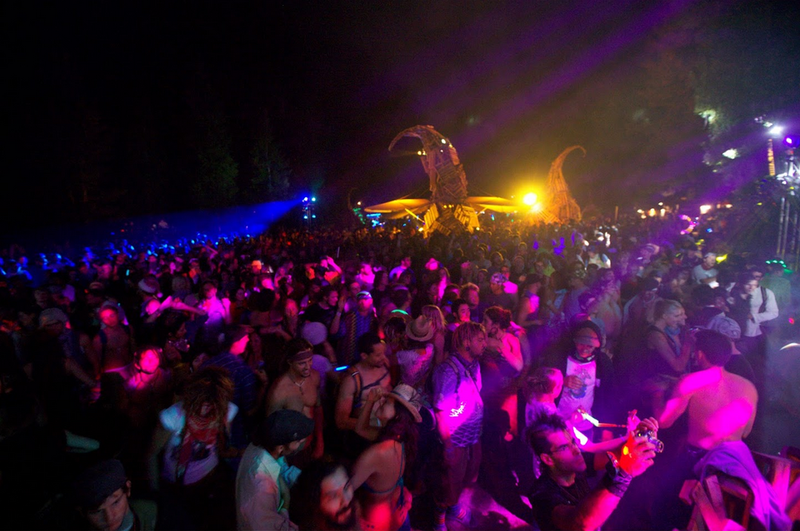 Often referred to by its other name, “The Best Festival Ever,” SG09 will forever be remembered for the quality of its venue, the growth of the community, and the retrospective ridiculousness of the entertainment. 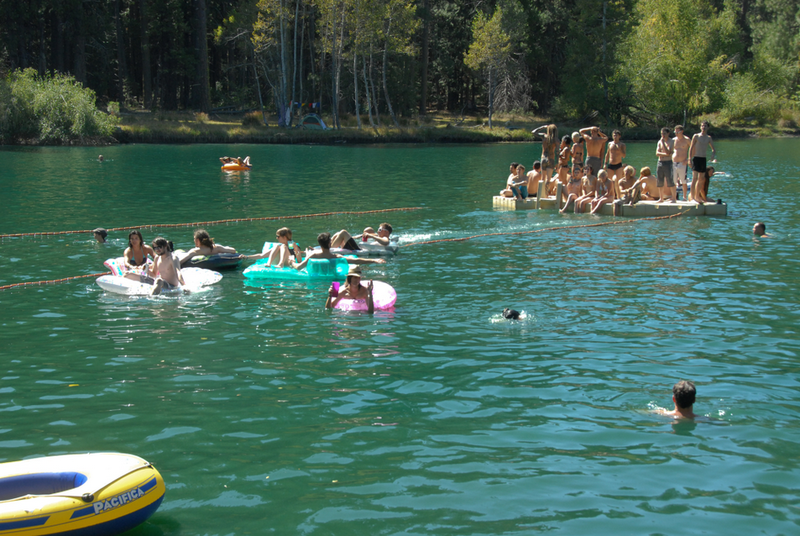 Camp Mather offered beautiful trees, a luscious meadow, and a picturesque little lake that featured one of the greatest floatie parties ever seen in the Sierra Mountains. 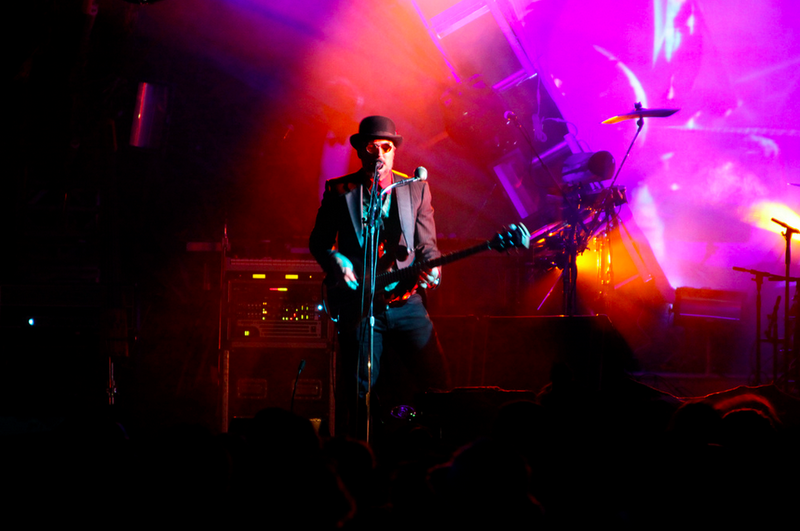 The lineup was ahead of its time and included Les Claypool, CocoRosie, and the farewell performance of the Yard Dogs Road Show. 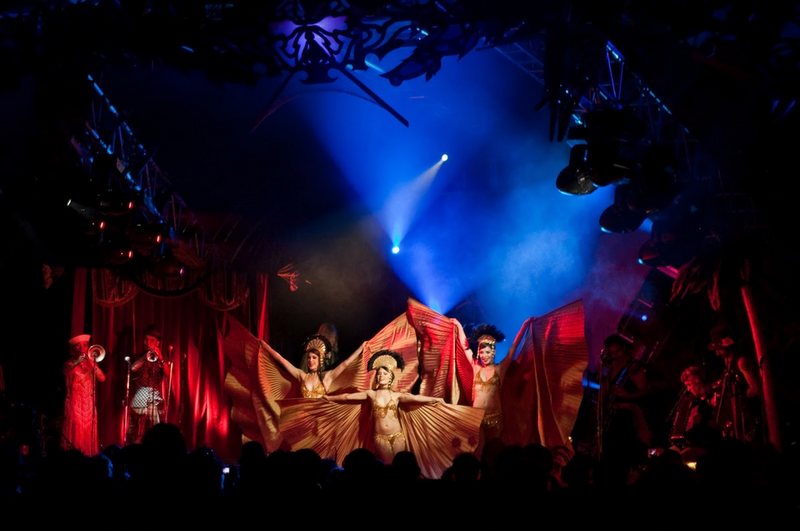 In support came Amon Tobin and Bassnectar along with Caspa, Claude VonStroke, The Glitch Mob and an up-and-coming act called Pretty Lights. 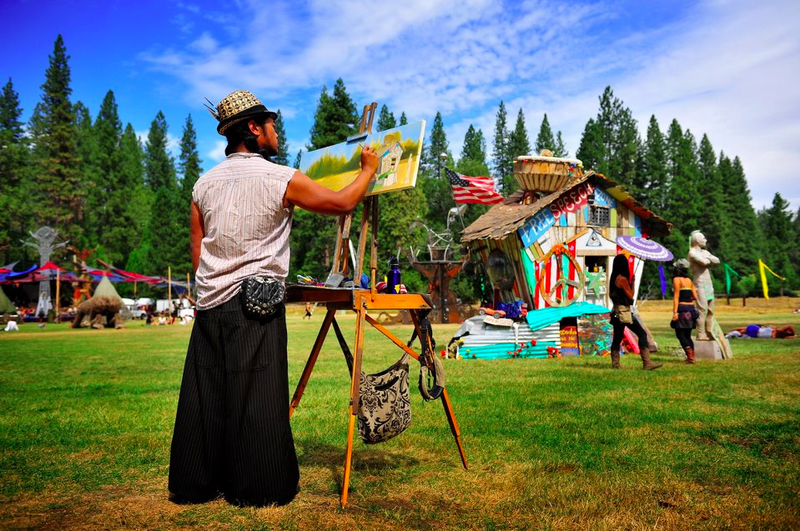 SG09 also featured Alex Grey and Allison Grey’s first live painting with Shpongle on Sunday morning along with massive artistic installations by Dan Das Mann and Shrine, and our new friends The Do LaB among others. Workshops became an enhanced focus with high caliber presenters, as Berkeley professor and author of the ‘Tao of Physics’ Fritjof Capra wowed the crowd with an impassioned presentation that rode the line between science and spirituality, while Starhawk‘s first appearance at Symbiosis was widely anticipated and received with thunderous applause. 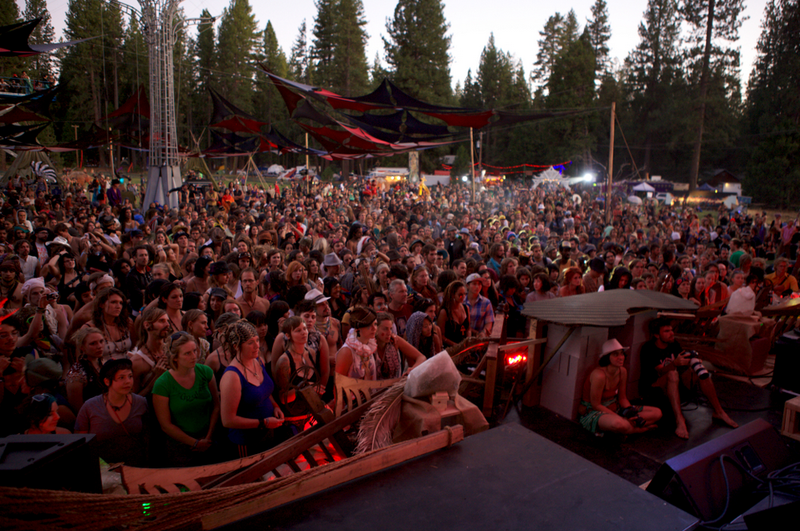 The sheer enormity of the spectacle of SG09 made it difficult to prepare for another Symbiosis Gathering, as each year seemed to build on the previous. It took almost 2 years before a plan came together to create a new peak experience. Sunday Funday was amazing again with an amazing transition between Caroline Casey ~ Coyote Network News and poet, vibrant human Saul Williams. A 3 hour window flew by as two masters of their craft spun words into metaphor and metaphor into transmission. 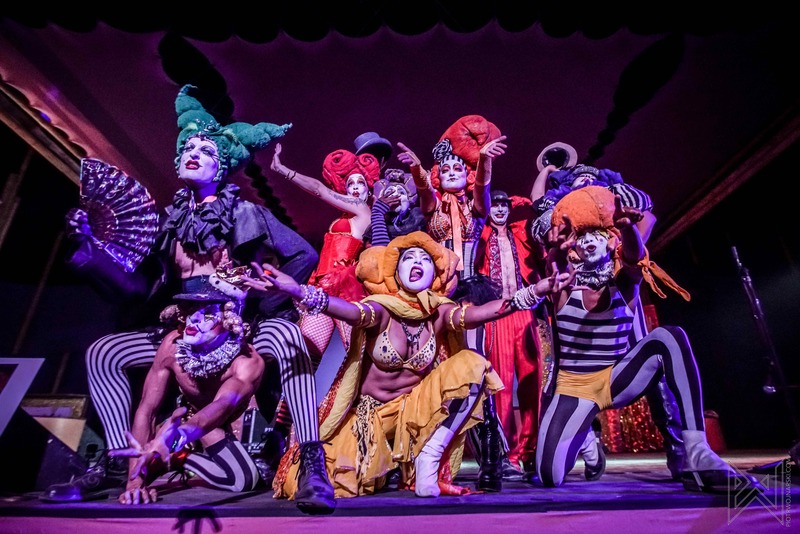 Then came the stomp on the Cove by frequent instigator Shpongle (Simon Posford), to be followed up by the the US debuts of Chet Faker and iamamiwhoami and a nighttime hoedown led by the dubmaster Ott.! 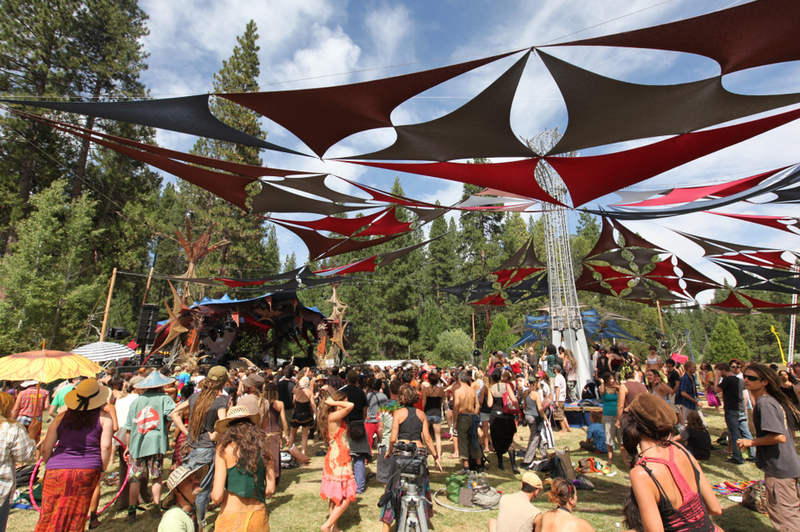 As the dust settlled, it was apparent that SG13 was one for the books!